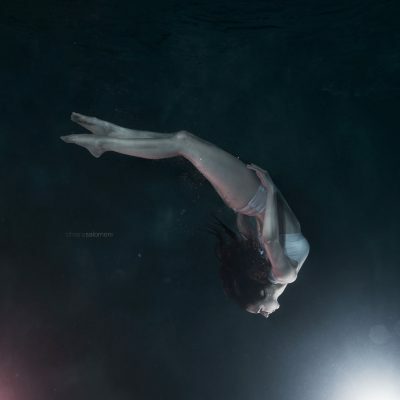 Underwater performer, Christine Ren, and underwater photographer, Chiara Salomoni, have teamed up to create a one-of-a-kind underwater movement & portraiture retreat in the Cenotes of Tulum, Mexico. geared towards exploring new levels of possibilities with underwater imagery. 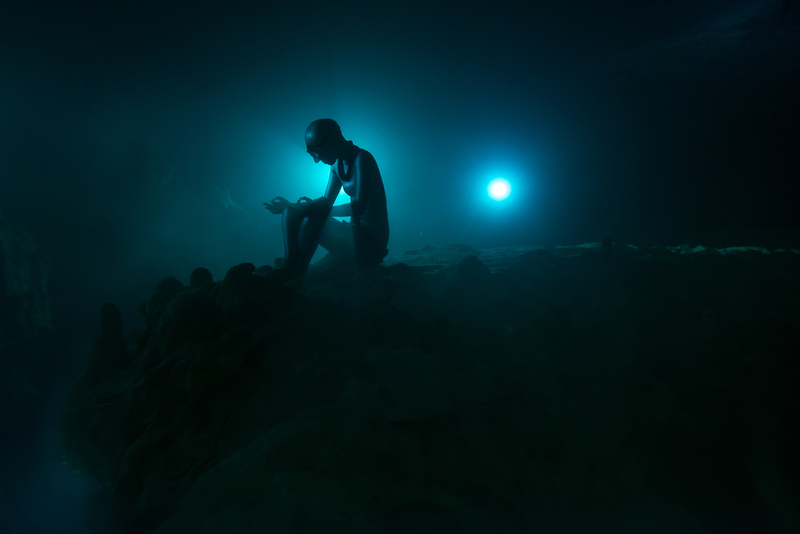 Imagine building a portfolio of one-of-a-kind underwater portraits in the infamous freshwater caves that are Mexico's cenotes. 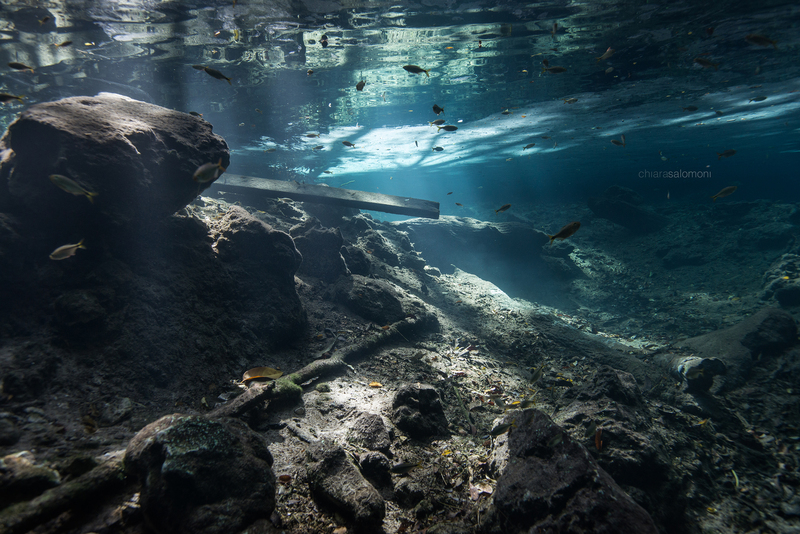 Known for their astonishing lighting and pristine visibility, the cenotes are the perfect setting to learn underwater portraiture. 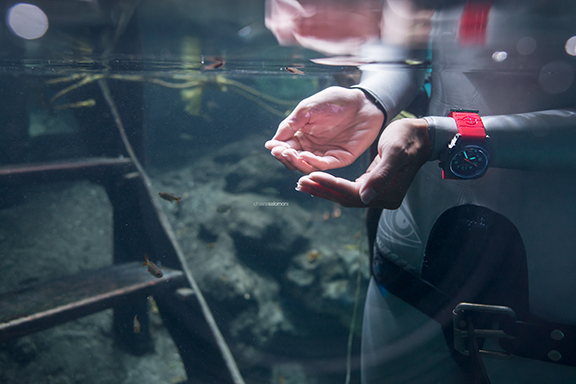 You can join us in the cenotes, behind the camera or in front: as a photographer or as the subject of the images. Models and ocean-lovers will learn underwater posing, movement, breath and safety techniques from Christine Ren. Learn everything you need to know about working with cameras, lights and photographers underwater as well as gain new levels of freedom, peace and trust. This is a highly transformative practice and all participants will come away with a range of new imagery to add to their portfolios. Scuba-divers and freedivers will learn technical portraiture skills - including lighting, working with a range of models and experience levels, pots-production and more. Build a one-of-a-kind portfolio of underwater images, shooting models against the backdrop of rock formations and stunning light rays shining from the surface. The best part though is that you'll also be also funding local ocean conservation efforts as 10% of the trip proceeds are re-invested locally. 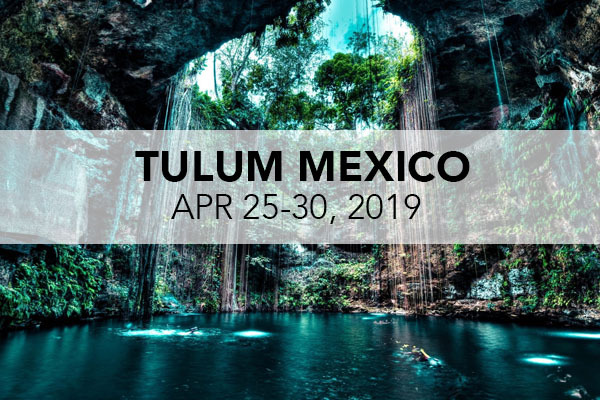 Professional underwater photographer Chiara Salomoni and underwater performer Christine Ran lead a once-in-a-lifetime 6 day, 5 night all-inclusive masterclass in Tulum, Mexico, Apr 25th-30th, 2019. 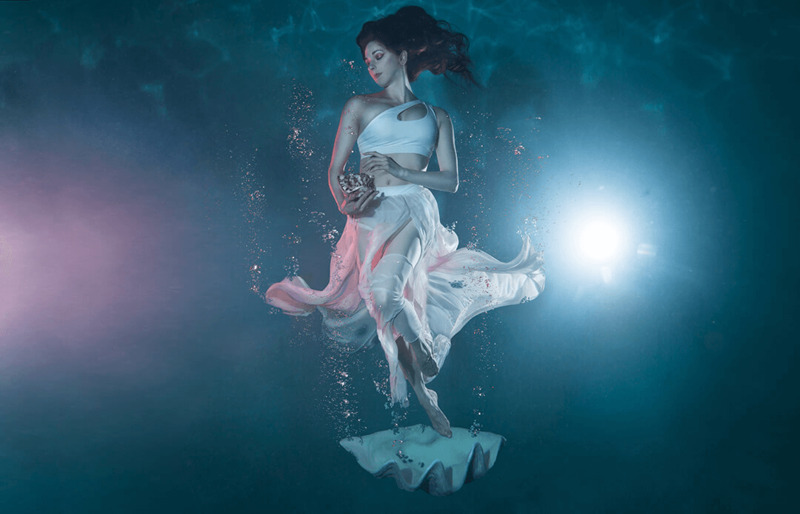 This customized workshop enables models and photographers alike to gain technical mastery in every aspect of underwater portraiture, working in a variety of settings from pool to open-water shallows and even deep water scenes. Expert underwater model Christine Ren will pose as the subject and provide training to the participant models on how to work safely in the water. Travel somewhere amazing, learn something new and fund ocean conservation - that's what these trips are all about. These travel experiences are often life-changing and create a great sense of tribe among the participants. 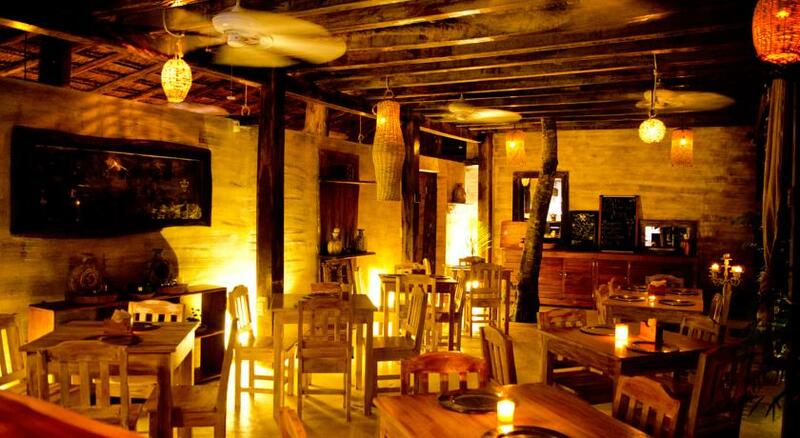 Further, 10% of the trip's proceeds are reinvested locally. What's not to love? 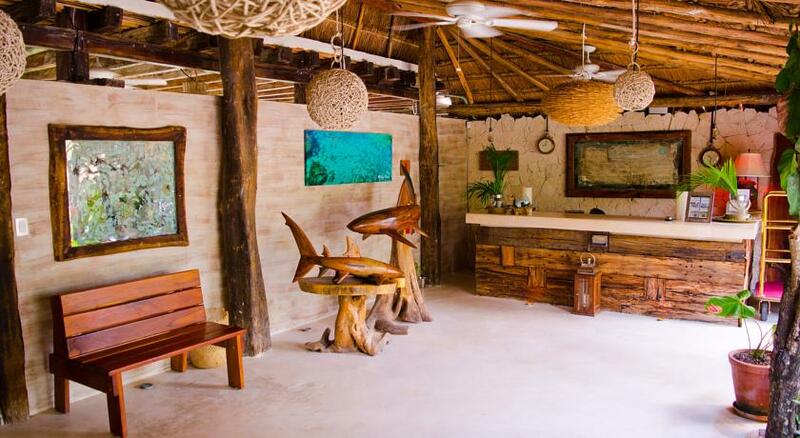 This is an all-inclusive trip: Accommodations, local transportation, meals, gear rentals, boat dives are all included. Airfare is separate and students must bring their own camera. DicaPac underwater housing bags will be provided for each student or we can recommend a place to rent an underwater housing for your camera before the trip. Experience: Scuba experience is encouraged, but not mandatory. This trip accommodates divers and non-divers alike, with epic backgrounds either at depth or closer to the water's surface. 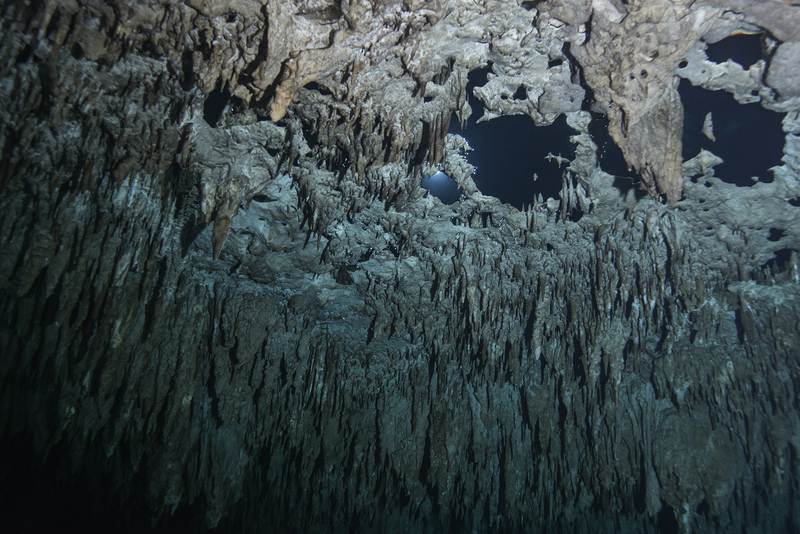 DIVES: 3 days of cenotes dives (2 a day) in different locations around Tulum, Mexico. 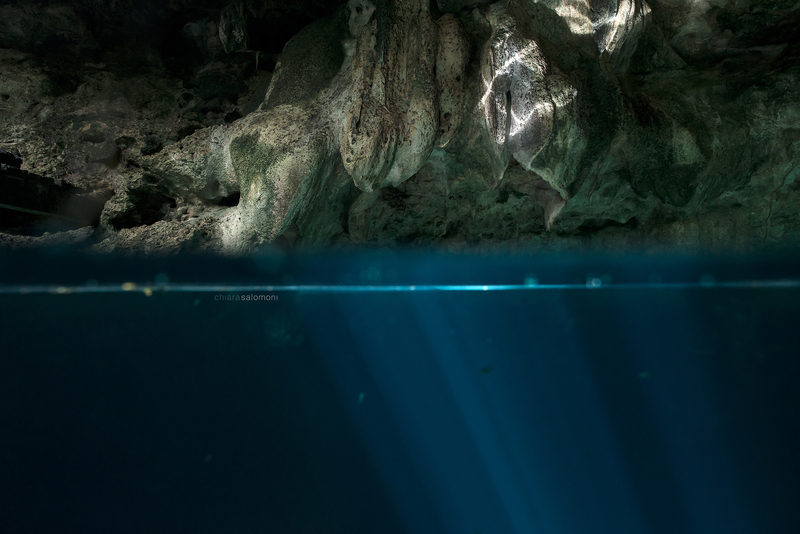 - Dos Ojos Cenote known for its amazing caverns with beautiful formations. 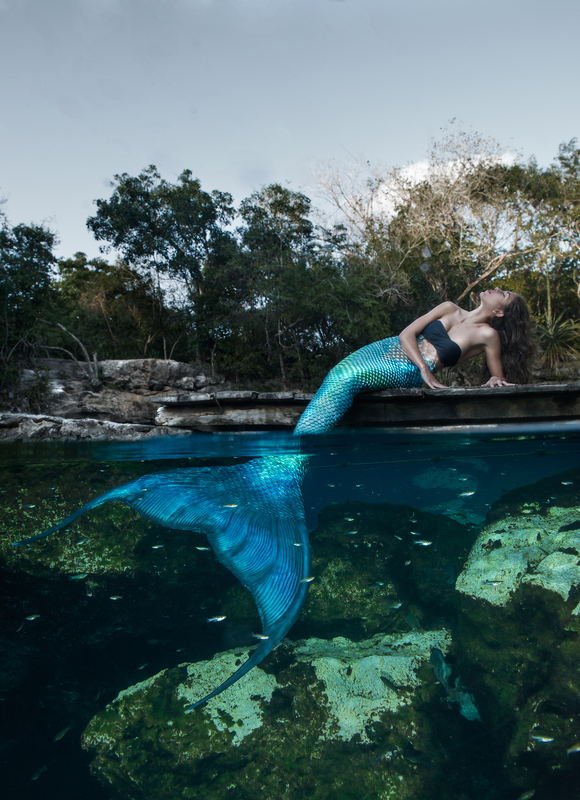 Whether working with Chiara's professional lighting setup in our private resort pool, shooting in sunlit crystal clear cenote shallows or capturing shots against pristine deep-water underwater scenery, the sheer variety of images you will be able to capture on this retreat is unparalleled. 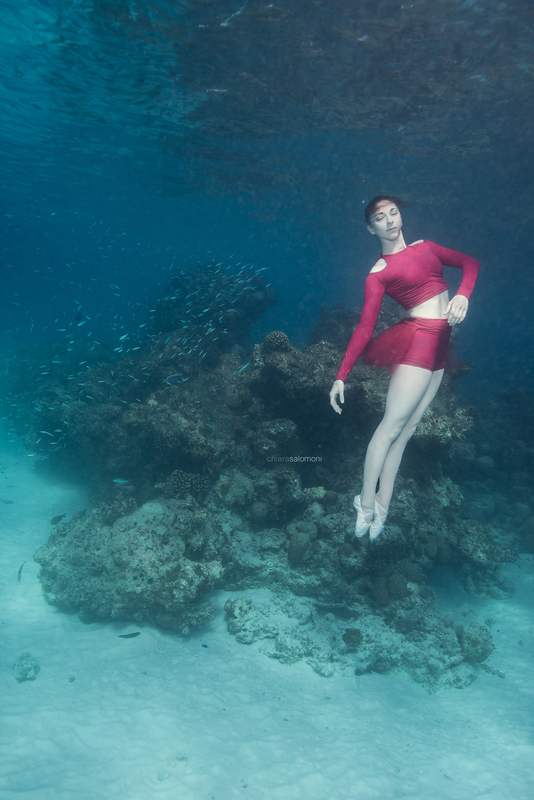 MOVEMENT & POSING: Christine will guide model participants through her tiered approach to underwater performance work including in-water centering, surrendering then sequencing. Morning yoga & meditation offered daily. PHOTO SESSIONS: Each day is balanced between classroom presentations and pool basic overviews then hands-on underwater shooting practicals in open water settings. In total, you will come away with over 10 completely different photo sessions. PORTFOLIO REVIEWS: Unlimited open evenings of one-on-one portfolio reviews with Chiara to improve your compositions and technique. SMALL GROUPS: Personalized attention and feedback with a small group of only 6-8 photographers and 6-8 models total on the retreat. BUSINESS: Wondering how, or if, you can actually make a living as an underwater photographer or performer? Chiara, with her company Mermaids for Change, and Christine as The Underwater Woman share the key aspects of business and marketing to make this a viable career. POST-PRODUCTION: An entire day of the trip is dedicated to post-production workflows and how to edit, color-grade and retouch underwater portraits. Student models will also get to review underwater footage of their portrait sessions for critiques with Christine. Want the full itinerary? Email me@theunderwaterwoman.com for complete details. We invite certified scuba-divers with or without photography experience and professional photographers with or without scuba experience to join us for this unique gathering to learn new underwater portraiture skills and help fund local ocean conservation efforts. Divers and photographers who are looking for a unique experience with a philanthropic component will also find our offering as a culmination of these desires. We also invite ocean-enthusiasts, dancers, and models with or without underwater experience to join us to learn new ways to cultivate surrender, freedom and meditative apnea states. 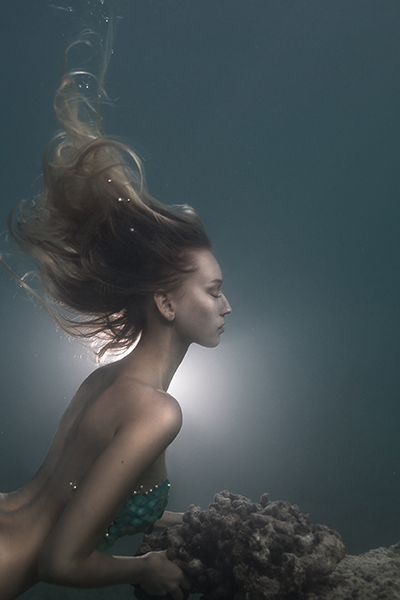 Amateur and professional photographers and models looking to expand their portfolios to include underwater imagery will find this course to cover precisely the skills they need. This course is open to anyone, including complete beginners, who are interested in learning the art of photographing, or being the, subjects. Students will find this masterclass as one of the only available with a focus on human portraiture. Workshop prerequisites: Open-water dive certification is a plus, but not mandatory. This trip accommodates divers and non-divers alike, with epic backgrounds either at depth or closer to the water's surface. Students must have a camera. We will provide DicaPac underwater housing to each student or make a suggestion on a place to rent an underwater housing for their camera before the trip. 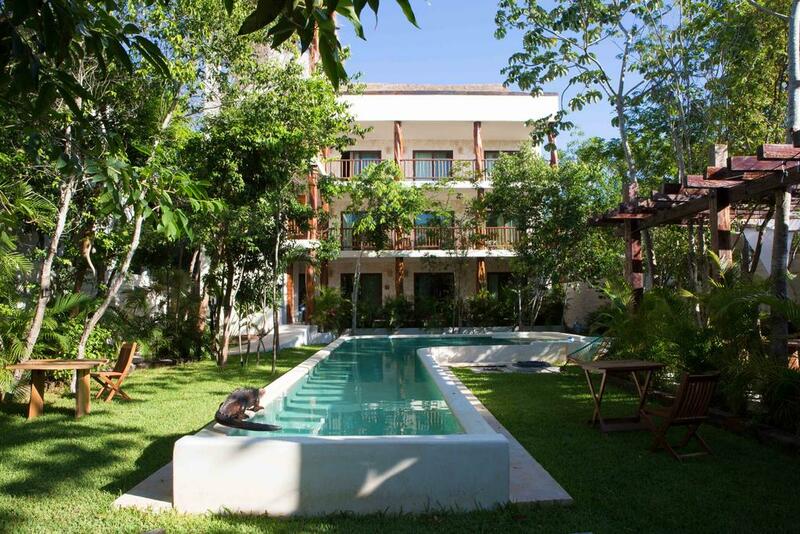 You’ll be staying for five beautiful nights in the quiet, authentic Mexican ambiance of Casa Tulum, complete with private swimming pools, A/C, wifi, laundry, and a serene natural setting. 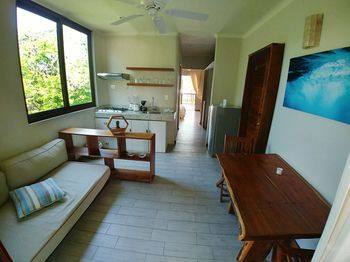 The hotel is situated right in the heart of Tulum, with free bikes, you can enjoy all that the town has to offer. Dos Ojos Cenote known for its amazing caverns with beautiful formations. 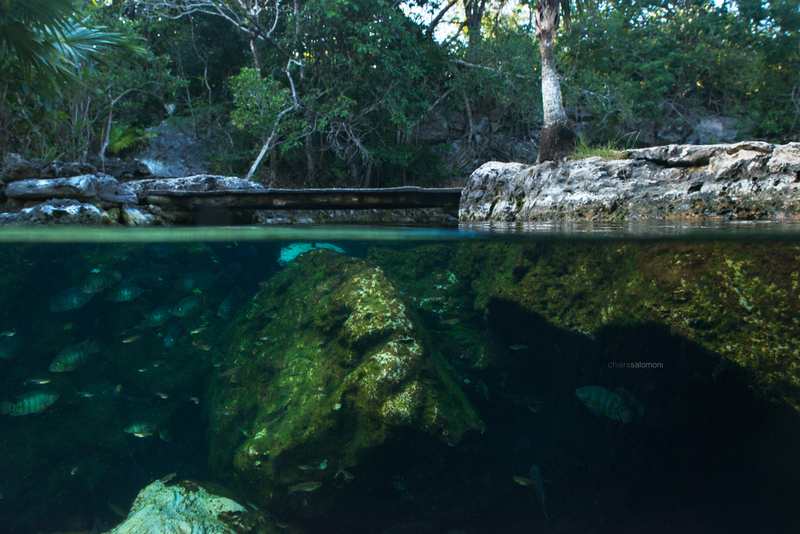 stunning rock formations, freshwater fish, and ethereal light. 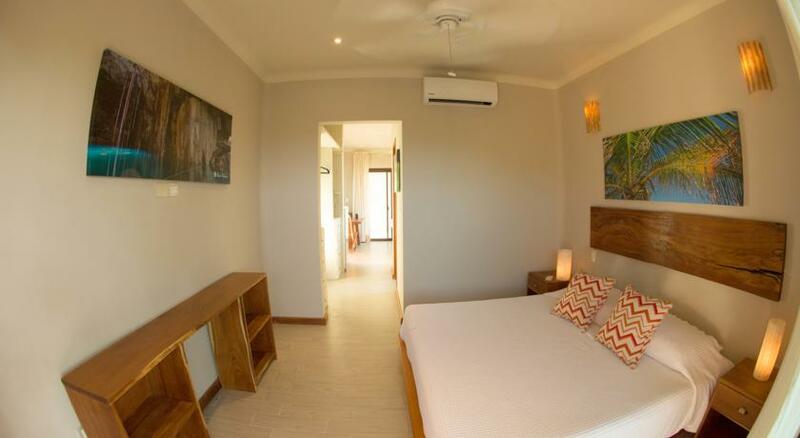 so contact us today to put your 50% deposit down. Prices above do not include your airfare but do include 5 nights of accommodations,and all your gear rentals, dives, local transportation, and 3 meals a day. To reserve a spot for the retreat, a 50% deposit is required. The second installment is due Feb 15th, 2019. Credit and debit card payments accepted securely through Paypal or Venmo. 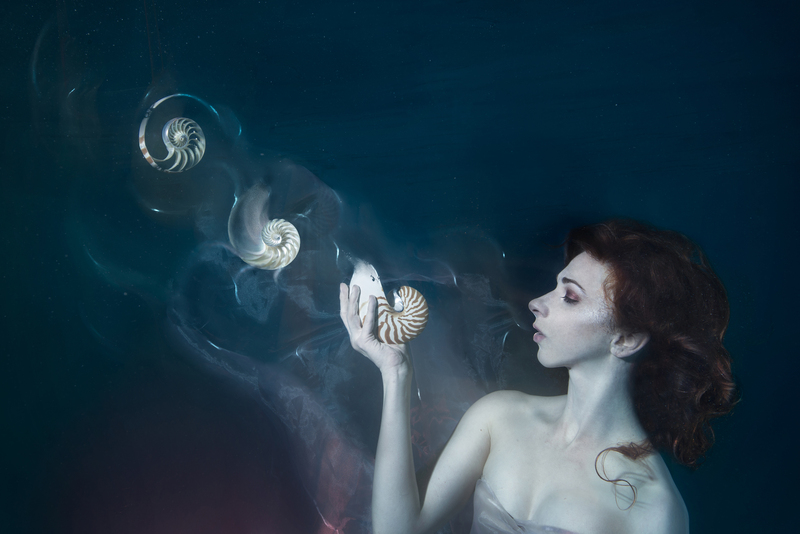 Chiara Salomoni is a renowned photographer specialized in underwater wildlife and fashion. 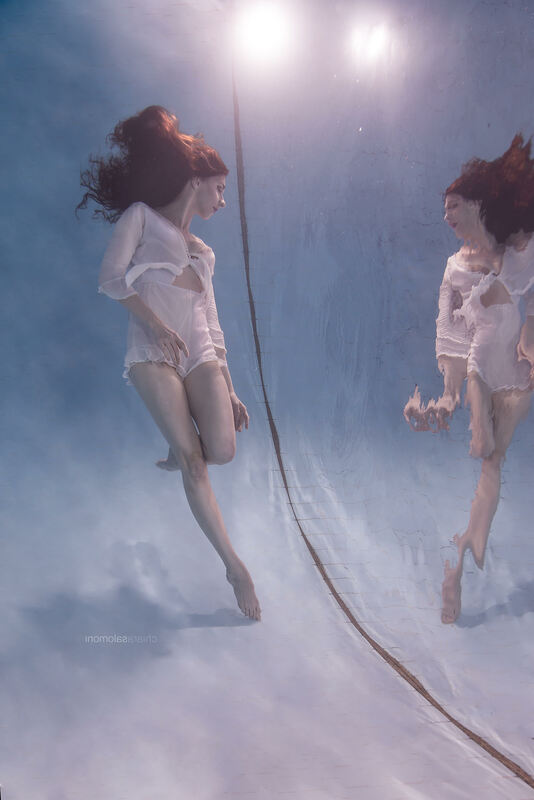 Her underwater portraiture is known for its signature ethereal style; viewable here. Chiara grew up in Italy, experiencing the beauty of the sea since a really young age. In 2010, she graduated from the Brera Academy of Fine Arts in Milan and then moved to California to study photography at the Brooks Institute in Santa Barbara. Chiara is also the founder of Mermaids for Change, an organization built around education, ocean conservation and photography. 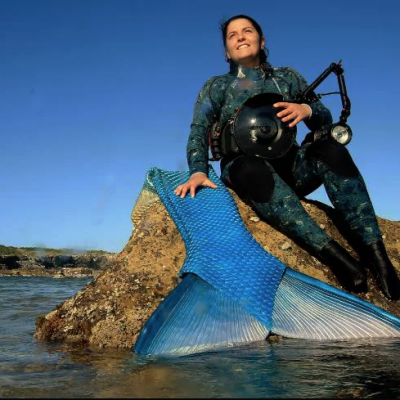 Named 1 of 5 women in media changing the world by Matador Network, Christine Ren, also known as The Underwater Woman, is a filmmaker and underwater performer dedicated to advancing social and environmental causes. She holds her Master’s degree in Marine Affairs & Policy from the University of Miami’s Rosenstiel School of Marine and Atmospheric Science (RSMAS). 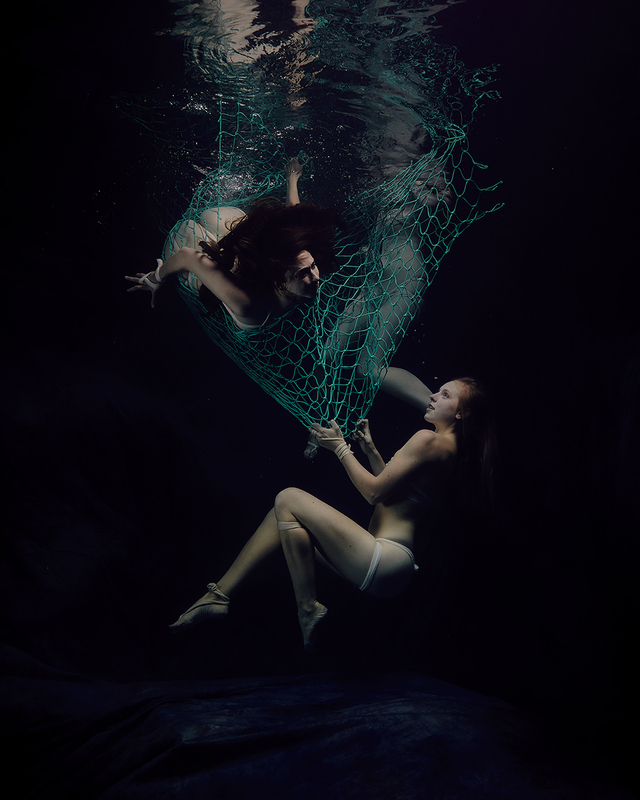 Her narrative underwater imagery campaigns have been featured to-date by Nat Geo, KQED, FStoppers, Petapixel, Phoblographer, and more, embodying the idea that ocean conservation is a human issue. In Mexico, more than 2 million people depend on fishing for a living (both directly and indirectly). 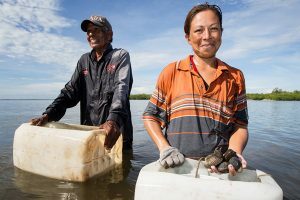 Most of them belong to small-scale fishing communities that produce food for the millions of Mexicans who rely on fish as a source of protein. 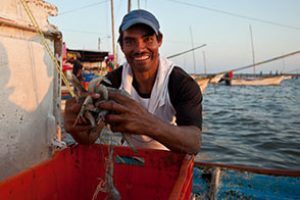 Reforming the fishing sector in Mexico could generate more than $211 billion USD in profits every year, and increase the amount of fish in the water by more than 70% in the next 20 years, compared to doing nothing. This is according to the Environmental Defense Fund's (EDF) research [PDF]. The EDF is working in Mexico to promote sustainable fisheries management that is both science-based and participatory. 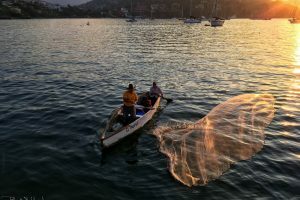 Their goal is to help Mexican fishermen make the most of the benefits sustainable fishing has to offer while safeguarding these ocean resources for future generations. 10% of the profits from this masterclass will be donated to the Environmental Defense Fund's work in Mexico to this aim. So, are you ready to take a seriously awesome journey with us?